Winter is still coming… it just might be arriving a little late. 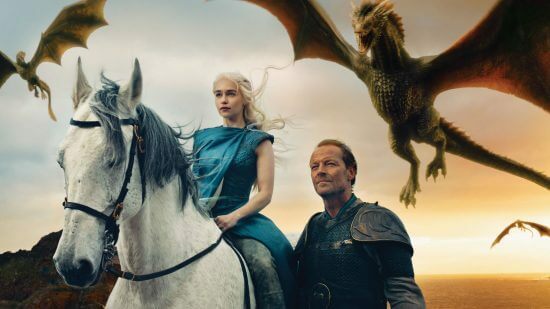 Today HBO confirmed a long-rumored delay in the delivery of the eighth and final season of its massively-popular fantasy epic “Game of Thrones.” In a post on its official website, the cable network announced that the series will return sometime in 2019. That will make 2018 the first year to go without new “Game of Thrones” episodes since the series first made its debut back in 2011. For the first six seasons, the hour-long drama traditionally premiered during the spring, until 2017’s season seven, which started in July. Season eight of “Game of Thrones” will consist of only six episodes, currently being assembled by showrunners David Benioff & D.B. Weiss, alongside writers David Nutter and Miguel Sapochnik and directors Bryan Cogman and Dave Hill. Fans anxiously awaiting the final resolution to the story of Westeros and the various forces battling for its control– including Daenerys Targaryen (Emilia Clarke), Jon Snow (Kit Harrington), Tyrion Lannister (Peter Dinklage), several dragons, and an army of undead White Walkers– will have to be patient for another year. Until then, I’d suggest rewatching the existing sixty-seven episodes and preparing for all-out war.